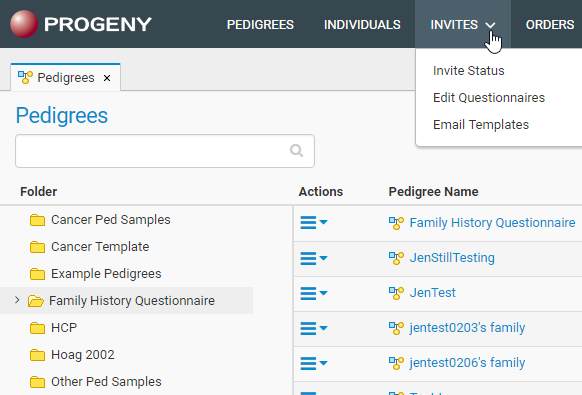 Navigate to the Invites module and choose Invite Status. 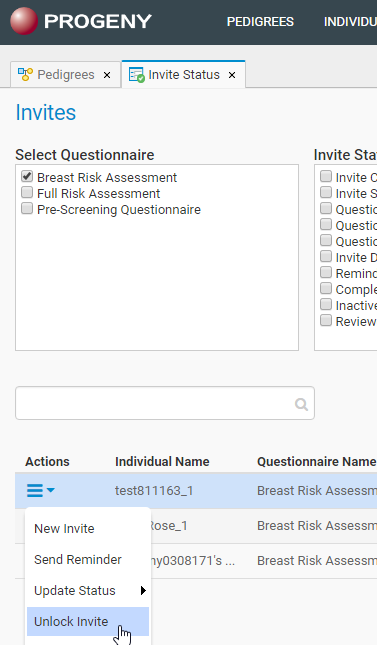 Find the invitation for the patient that needs their questionnaire unlocked, click the Actions menu on the left of that individual and select Unlock Invite. Similarly to step 4, find the invitation for the patient that needs their questionnaire locked, right-click and select Lock Invite.